The small restaurant is located on the busy Main street in Woburn which makes parking a bit tricky. There's no dedicated lot so we often have to leave for lunch a couple minutes before noon and drive around in circles until we can park. There's only a handful of tables, maybe 6-8 and it gets busy during lunchtime so it is definitely worth getting there prior to the crowd. 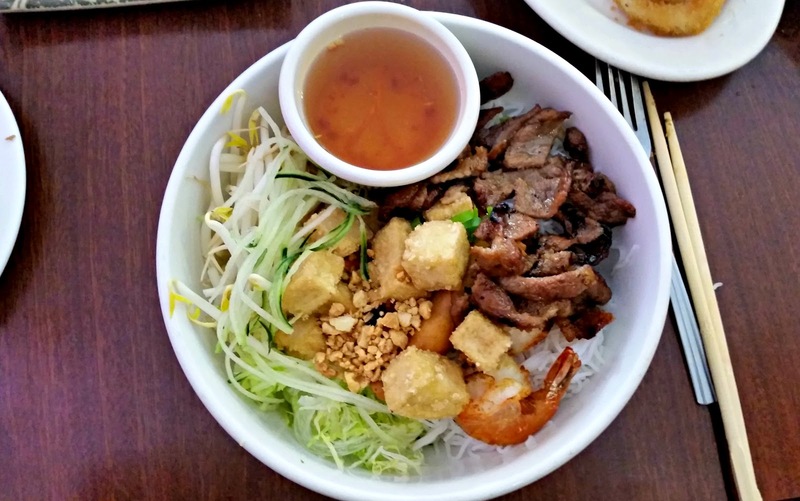 The menu offers the traditional Vietnamese soups as well as other dishes like rice vermicelli, Their Vietnamese appetizers include some of my favorites: goi cuon fresh spring rolls and cha gio fried rolls. 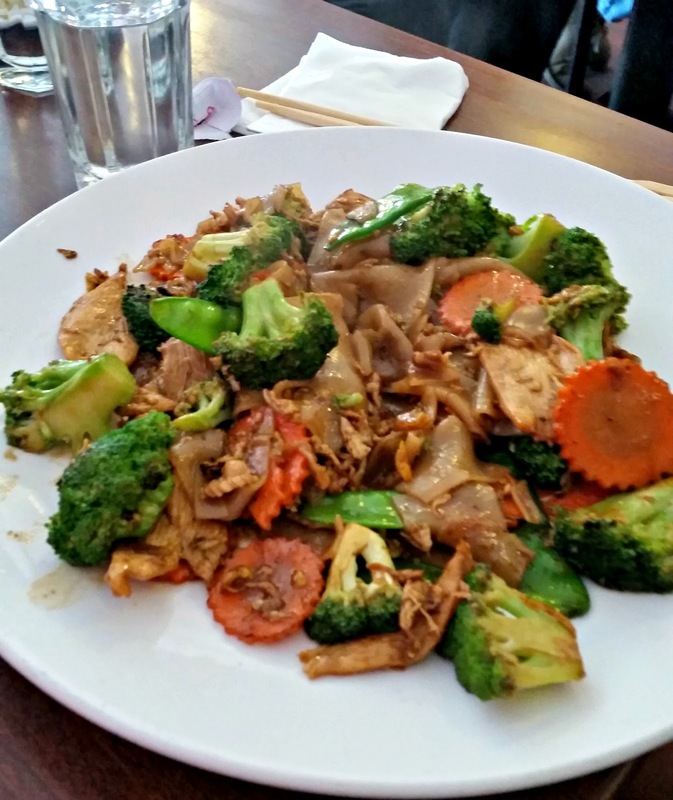 They also serve Thai specialties such as Phad thai, Thai beef salad, drunken noodles as well as curry dishes. 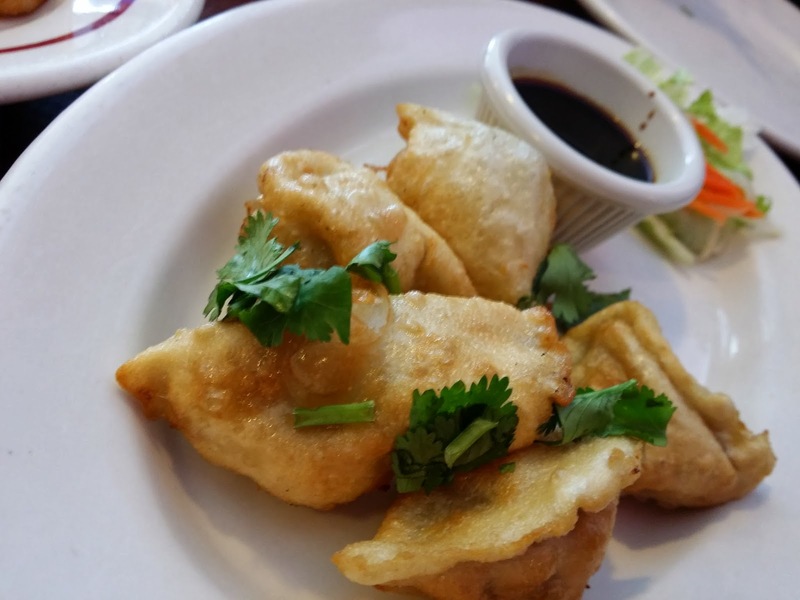 If you can't decide, you can try a combo menu that comes with a fried spring roll and dumpling along with your entree and rice dish. My coworker and I went on a cold rainy day, perfect Pho weather. We got seated quickly and split giozas and shumai. 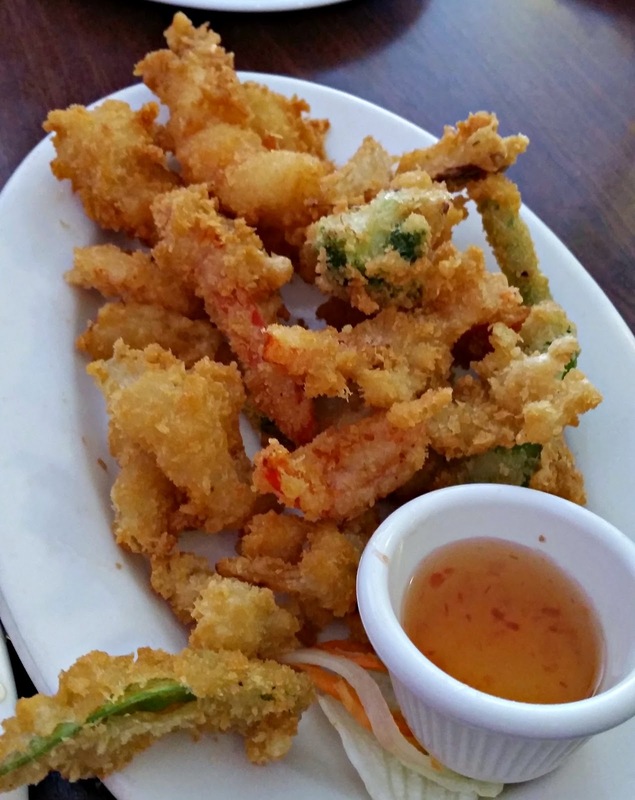 The appetizers are more Chinese/Japanese than Southeast Asian staples. The appetizers arrived along with a side of beansprouts, lime and fresh basil for the pho. 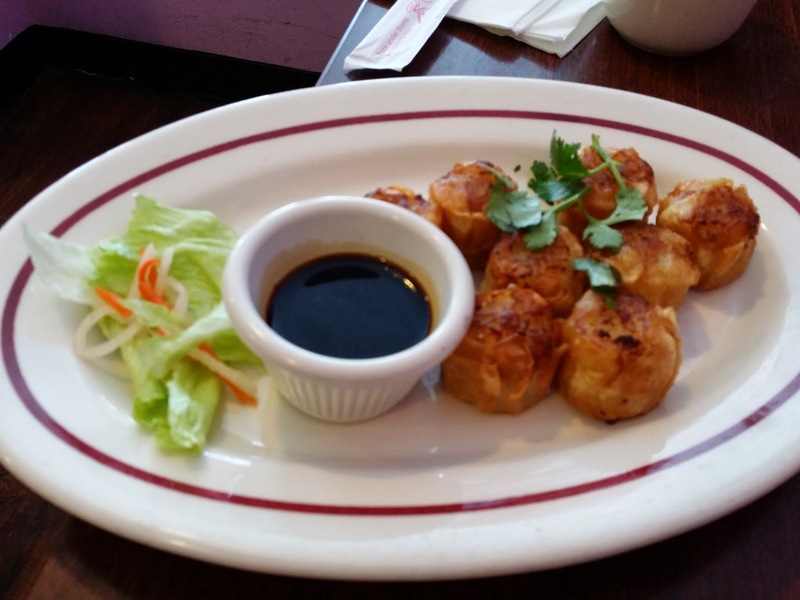 We enjoyed the little bites of pork stuffed in wonton wraps. Shortly after, our beef noodle soup came. I ordered an extra side of meatballs since there was no combo that included the rare beef, brisket and meatballs. Of course I had mix a dipping bowl with sriracha and hoisen sauce for my beef and meatballs. 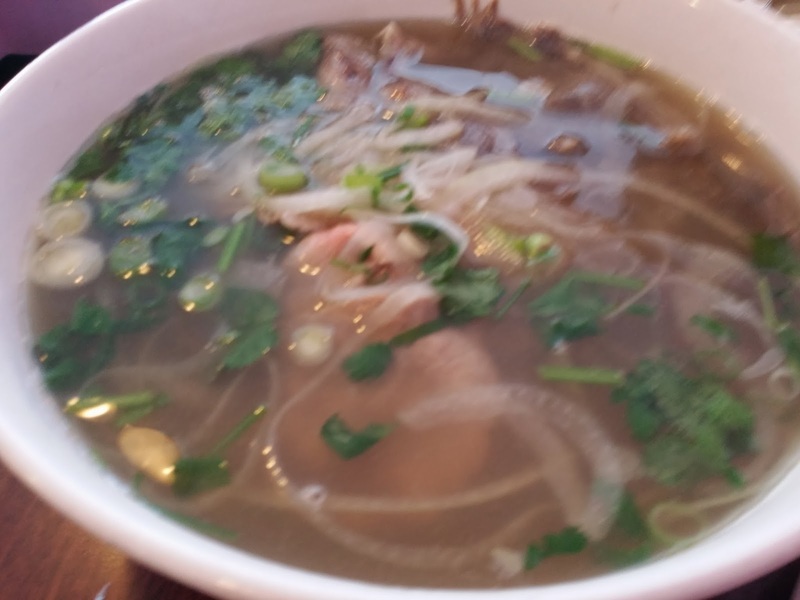 The pho noodle soup hit the spot and is definitely one of the best in the area. Update: We went back for lunch and ordered some things. 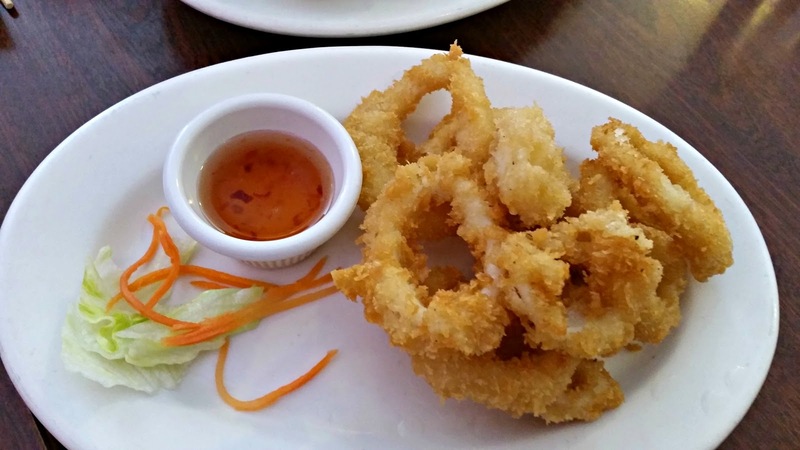 The fried calamari and shrimp left much to be desired.